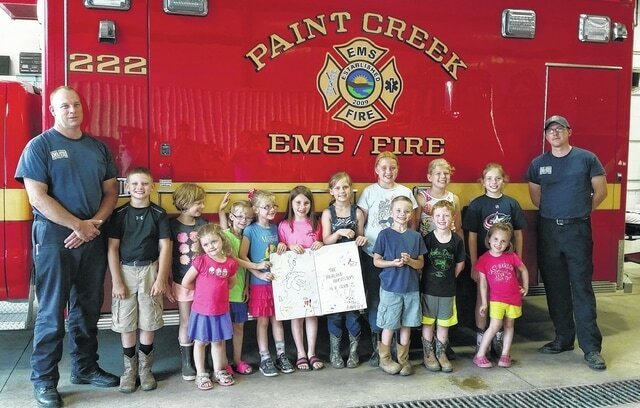 The Highland Harvesters 4-H Club visited the Paint Creek Joint EMS/Fire District’s Paint Township station in Rainsboro on Sunday, June 7. The 4-H club members were proud to present the firemen with homemade cookies and cards to thank them for their service to Highland County. The club members were then treated to a tour of the firehouse and equipment. Highland Harvesters 4-H Club members extend sincere thanks to the emergency personnel for all they do for the community.